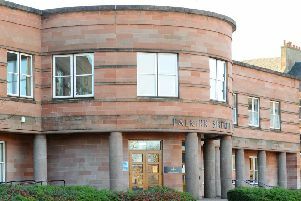 A 39-year-old Hallglen woman was due at Falkirk Sheriff Court last Thursday for offences against children which took place in Falkirk town centre on Christmas Eve. She was charged with being drunk while in charge of a three-year-old girl and assaulting a ten-year-old girl by striking her head and pushing and pulling her. The woman failed to show and a warrant was granted for her arrest.